The Lincoln Stars will take on two of the hottest teams in the USHL this weekend when they face the Omaha Lancers (winners of 9 in a row) at the IceBox on Friday, and then a road tilt on Saturday against the Dubuque Fighting Saints (winners of 5 in a row). Pucks drops at 7:05pm CST for each contest. The Stars come into this weekend with a record of 10-13-4 (24 points) and are in 7th place in the USHL western conference. They are now 9 points out of fourth place (playoff eligible) in the west. Lincoln is coming off a weekend sweep of the two new USHL expansion teams (Bloomington, Madison) last Friday and Saturday. Lincoln opponent this Friday evening at the IceBox will be the red-out Omaha Lancers, who sit in second place in the USHL western conference with a record of 16-8-4 (36 points). 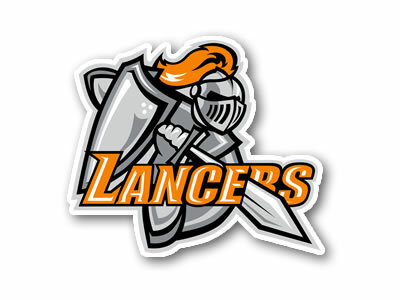 As I mentioned above, the Lancers have won their last 9 games, and are only three points out of first place in the west. This will be the fourth of eight meetings between the two rivals. Lincoln is winless (0-2-1) in their three prior games against Omaha this season. The last time these two teams met at that IceBox, the Lancers bullied the Stars in route to a 4-1 victory on 11/21/14. Just a few months ago, this Lancers squad was in dead last in the western conference. At the time, they weren't scoring goals, and they definitely weren't playing good team defense. They even lost their starting goaltender, reigning USHL goaltender of the year Hayden Hawkey, to a season-ending injury. At the time, things weren't looking well for Lincoln's rival to the north, but they have really turned it around as of late. It's remarkable what they have been able to do in such a short amount of time. 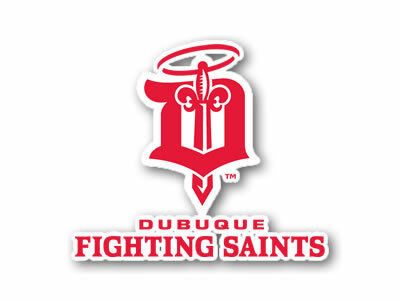 On Saturday, the Stars will travel east 6 hours to the east to battle the Dubuque Fighting Saints. The Saints sport a record of 19-7-2 (40 points) are in second place in the USHL eastern conference, four points behind the first-place Cedar Rapids Roughriders. This will be the second and final meeting between the two clubs. In their only other contest this season, the Saints shutout the Stars at the IceBox on 12/12/14 by the score of 1-0. Former Stars goaltender Jacob Nehama, now with Dubuque, stopped all 34 shots he faced in that particular game. I can only assume that Nehama will get the start again against his former team this Saturday in Dubuque. As for the Stars, they made some roster moves this weekend to shake up the roster a bit. Forward Max Humitz was traded to the Muskegon Lumberjacks for a 7th round pick in the 2015 USHL Phase II draft. Click here to read more about that trade. The after the Stars moved Humitz to Muskegon, the team acquired forward Waltteri Hopponen from the Sioux City Musketeers for a conditional 5th round pick in the 2015 USHL Phase II draft. Click here to read more about that trade. I assume Walt will play right away this Friday against the Omaha Lancers. Talk about being thrown right into the fire after arriving in Lincoln. Hopponen will wear #12 for the Stars. Prior to the two roster moves above, the Stars made a couple of moves that I neglected to mention last weekend. First, the team acquired forward Chris Gambardella ('96) from the EHL's New Jersey Rockets. Click here to view his stats with the Rockets. The native of Staten Island, NY played his first two games with the Stars this past weekend. In his debut with the Stars on 1/2/15 against Bloomington, Gambardella led all Lincoln players with 5 shots on goal. Gambardella wears #23 for the Stars. Lincoln also has called up affiliate forward Jack Badini ('98) . Badini was originally selected by the Lincoln Stars in 2014 USHL Phase I draft. Before coming to Lincoln, Jack played for the North Jersey Avalanche U18 team of the AYHL. Click here to view his stats. Badini is very young, but very skilled. He was a player I definitely noticed in a good way at Lincoln's tryout camp this past June in Minneapolis. Click here to read a quick scouting report on Badini from the "Over The Boards" website. I assume Jack will play the remainder of the regular season with the team. Badini will wear #21 for the Stars. A couple of HUGE tests coming up for the Stars this weekend. I know the team wants to finally get over the hump against the Lancers, and what better time than this Friday. They have a great opportunity to snap Omaha's nine-game winning streak in front of a packed, rabid ceBox crowd. As always, it should be a fantastic environment at the IceBox. Hope to see you there. Edit: This afternoon, Stars forward Joe Lappin announced on Twitter (I'll embed the tweet below) that he will be attending the Arizona State University to play college hockey starting the fall of 2015. Lappin is an overager (born in 1994), so this is his last season of junior hockey. ASU was just granted Division 1 status by the NCAA and will play in the National Collegiate Hockey Conference (NCHC) starting the 2015-16 season. I know there will be some people reading this thinking to themselves, "I never knew Arizona State had a hockey program." Click here to read a great article from the New York Times about ASU's "elevation" to Division 1 status. Joe will get the opportunity this next season to help build something special at Arizona State. Not too many players get the chance to be a part of history with a fledgling Division 1 hockey program. So congrats to Joe! Best of luck to him next season in Tempe, AZ.